Years ago I worked in the Financial Service industry. I worked for three different Credit Unions and came across data issues constantly. Sometimes it was as simple as a check that was unable to be deposited because the spelling of the name was incorrect, or it was made out to a business name rather than the owner. Other times it was as serious as an individual’s credit being ruined because they had the same name as a relative and the credit reporting bureaus recorded the relative’s loans and late payments on their credit history instead. On a side note cleaning up those incorrectly reported credit errors is very difficult, but has gotten easier, primarily because identity theft has become more frequent in our society due to that credit problems are more common. I think everyone can think of a reason why it’s important for a consumer to have correct data, but it’s not always clear why businesses need to make every effort to keep their data clean and free of errors. Data errors can affect any aspect of business. Everything from product stock, to financial numbers, to marketing effectiveness is tracked with data. If any of this data is figured incorrectly serious issues arise. Companies need to evaluate their systems and find the areas that are most vulnerable to data errors. One major area is Customer information. Unlike other areas, customer data is constantly changing, addresses, phone numbers and credit card information are often needing verification and updating. These are some of the most difficult areas to keep correct, because unlike data that a company provides, these types of data are completely reliant on outside sources. Businesses need to have the right tools in the hands of the right individuals to decrease the frequency of inaccurate data across every area of business. All data is not created equal. 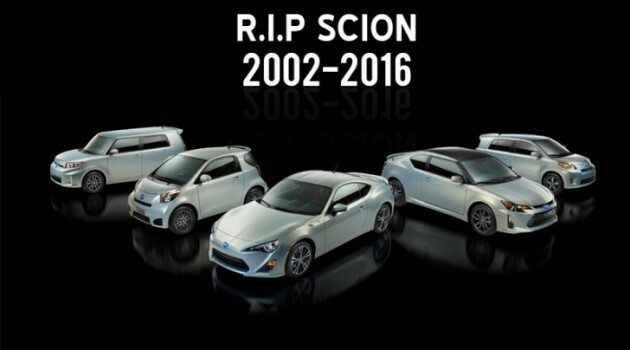 Last week Toyota announced that they would end production on the Scion brand of cars. Thirteen years ago Toyota launched Scion because their data showed that small cars were a good bet. Times were different in 2003. The US was still adapting to a post 9/11 world. Gas prices were on the rise and the economy was recovering. Jobs were good for college graduates and Toyota wanted to offer a product that 20 somethings could afford, and would be a good fit for their lifestyle. Their data suggested that Scion was a good investment. For years Scion made money and did decently. In 2007 the economy took another tumble. The middle class got hit really hard. This caused Scion to lose more sales because their target demographic took the biggest hit financially because of the economic down turn. Eventually Toyota, by teaming with Subaru to build the FR-S/BRZ, strived to change public opinion of Scion as a small inexpensive car brand for the 20 something crowd. Even after these efforts Scion failed to see much improvement in sales. While no company can see the future, if Toyota had collected more data, and adapted Scion’s business plan to include a small SUV when gas prices started to drop, or planned on adapting their small cars to accommodate two adults and a child seat comfortably, then they may have been able to increase their market share in the US. In the end Toyota chose to cut their losses and move on. What can be learned from these business decisions? While lots of data can be collected through several sources, the strength of that data needs to be weighted. In addition the quality and source of the data are important aspects to be considered too. In the example of Scion, maybe Toyota could have given the lowering gas prices more importance and built larger vehicles to accommodate more people comfortably and traded off for a lower MPG. Or they could have focused on the losses the middle class were experiencing and built a luxury sedan that focused on a higher income demographic. In the end, they may have feared competing too closely with their other two automobile brands and just kept doing the same thing hoping for the best.